The 66th British Championships took place at Crockey Hill near York on Thursday 8th and Friday 9th September 2016. 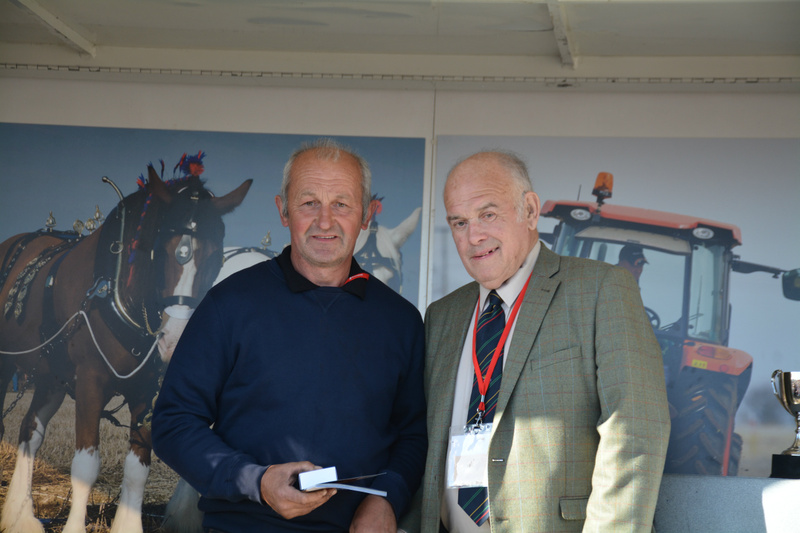 It was organised by the Society of Ploughmen on the land of Hobson Farming Ltd.
On the Thursday the ploughmen competed in 2 classes: reversible and conventional and those who qualified went on to the finals on Friday. Also on Thursday were the finals of the Young Farmers Ploughing Championships, the horticultural ploughing, High Cut Tractor Ploughing and Horse Ploughing. 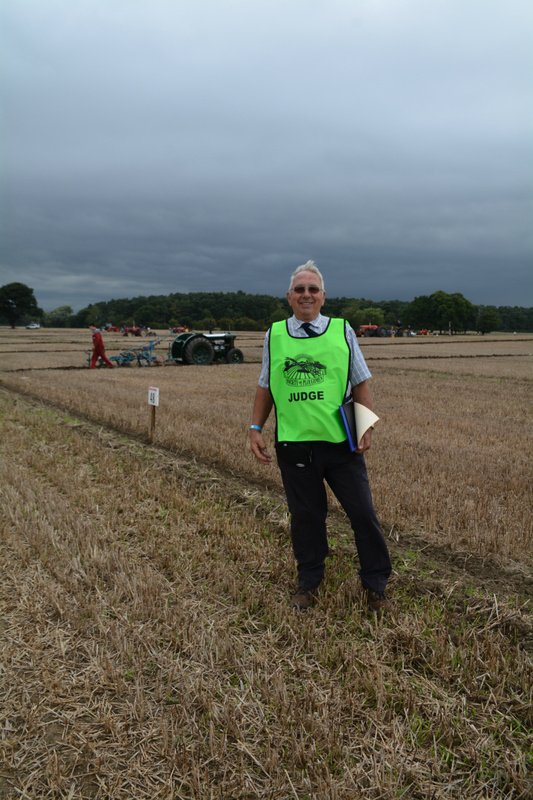 The Society of Ploughmen is a charity run by volunteers. The patron is the Lord Plumb of Coleshill DL (Sir Henry Plumb). The judges look at many aspects of the ploughing like straightness, how uniform the plot is, that the ploughman is keeping to an even depth throughout the plot, that it is neat and that all the stubble/weeds are buried. The judge will stand on the furrows to check how firm they lay. 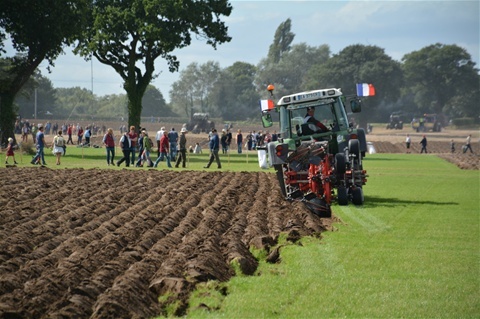 Points are also awarded for the opening (the first few furrows), the finish (the last few furrows) and the INS and OUTs (where the plough enters and leaves the soil). a) OPENING: Well cut uniform and straight. 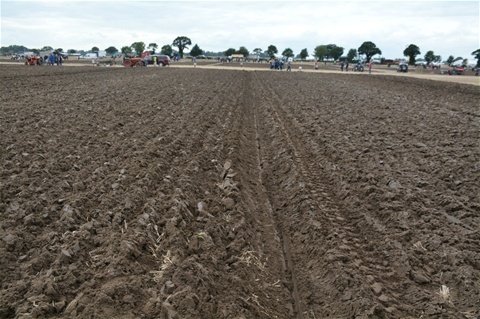 Start (11 or 12 furrows): Uniform and level. b) SEED BED: weed control and soil made available. c) FIRMNESS: Firm well packed furrows; no holes. d) UNIFORMITY: Clearly defined uniform furrows and no pairing of furrows. e) FINNISH: The last 8 furrows are uniform and shallow. f) INS AND OUTS: Neat accurate and regular. g) STRAIGHTNESS: Straightness of the whole plot. h) GENERAL APPEARINCE: Workmanship and general appearance of the whole plot. 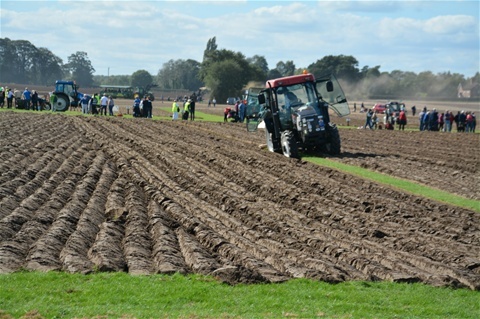 20 points are awarded for each of the following aspects of the ploughing. a) OPENING: Well cut uniform and straight. b) START (8 or 9 furrows): Uniform and level. c) SEED BED: weed control and soil made available. d) FIRMNESS: Firm well packed furrows; no holes. f) JOINING FURROWS AND BUTTS: Neat accurate with no dips or mounds. g) FINNISH: The last 19 or 20 furrows are uniform and shallow. 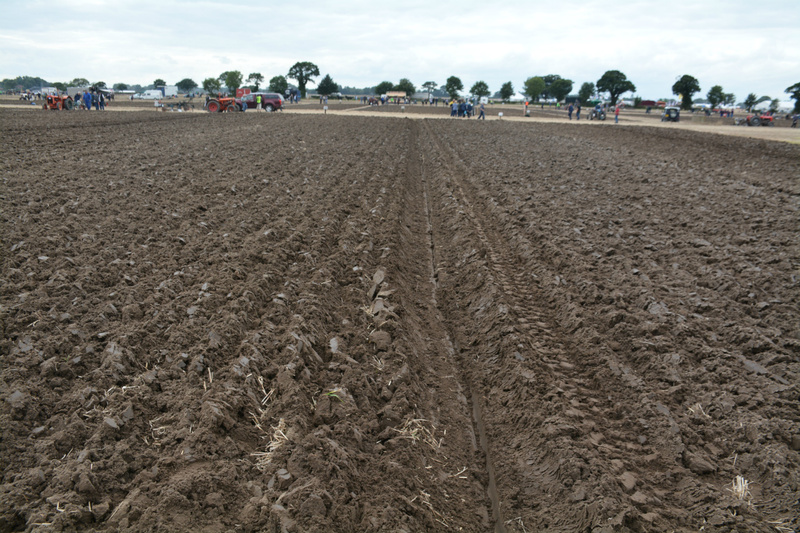 h) ACCURACY OF FINAL FURROW: Close to first furrow with no un-ploughed or re-ploughed land. i) INS AND OUTS: Neat accurate and regular. j) STRAIGHTNESS: Straightness of the whole plot. k) GENERAL APPEARINCE: Workmanship and general appearance of the whole plot. Incorrect number of furrows in the finish. Failure to finish opening on time. Failure to finish plot by finishing signal. Failure to report for plough off parade. Failure to adhere to safety policy. If 2 competitors have the same score the countback system is used. 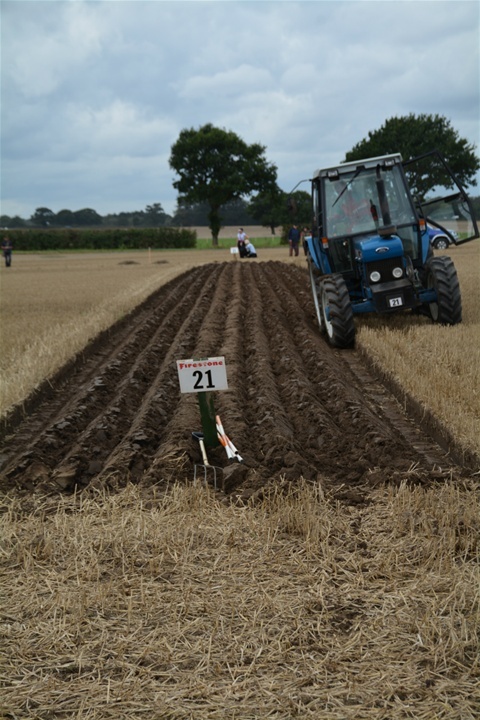 The ploughmen with the higher place will have the highest number of points in one aspect of the ploughing.